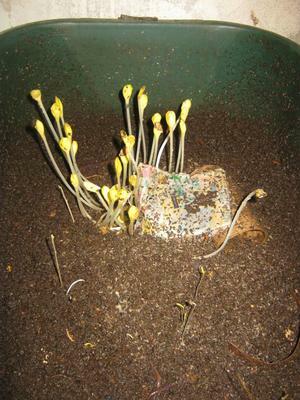 This worm bin with some germinated butternut seeds has a smooth surface which is an indication that the worms in the bin are active and can be fed again. 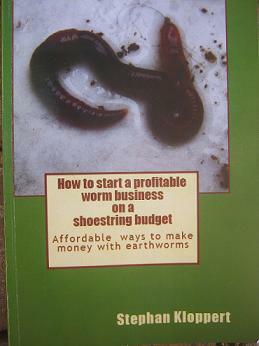 According to my knowledge there are no clear cut laws written down about the amounts of food worms should receive, but adding to much food to a worm bin at once can lead to problems. 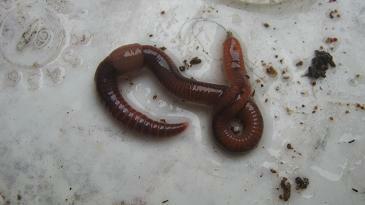 If in doubt rather underfeed your worms than give them to much organic materials to deal with. Let me give you a few guidelines. 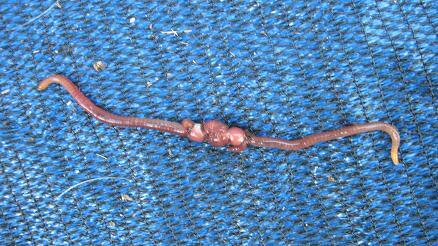 Compost worms like Eisenia fetida known as red worms or red wrigglers can in favorable conditions usually eat haIf their body weight of food every day. 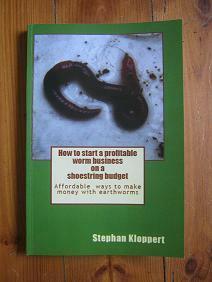 ie: 1 KG of worms can eat 1/2 a KG of worm food per day. 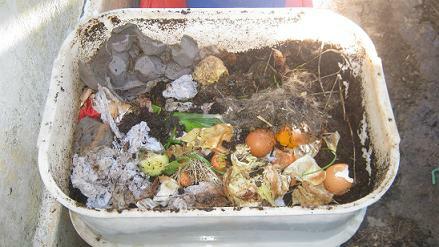 So if you feed your worms and 2 weeks later when you open the lid of your worm bin you still see a thick layer of uneaten worm food on the surface of your bin it is an indication that your worms are not coping with the amount of organic matter you are offering them. crop" and "protein poisoning" I only had this disease in one of my worm bins in the last 20 years, so it is really not that common at all and still not completely researched in the worm composting community. Here are 2 links to articles I wrote about the subject. I am busy with a more in depth article about the subject and hope to publish it in the near future. c) patiently wait for the worms to multiply. Under good conditions they should double in population every 2 to 3 month. It takes some time to find the right balance when starting to feed a new worm herd. Ideally there should always be some worm food in a worm bin although worms can get along quite ok for a week or more without food. If there is a lot of food in a worm bin that the worms have not eaten yet it will normally not harm them but as mentioned before could lead to bad odors after a while which is usually prevented when the right balance is found. 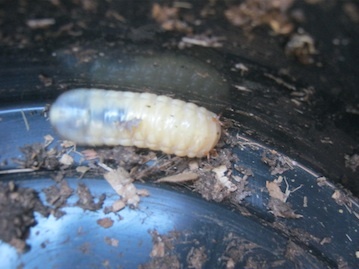 If you are new to worm composting and are just starting a new worm bin don't worry to much about this, just monitor the situation in your worm farm and I am sure you will get on top of the worm feeding regime!